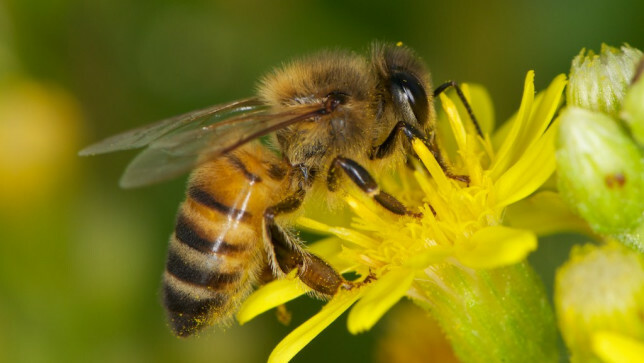 Hive-bound young honey bees (Apis mellifera) are being poisoned by insecticide and weed killer gathered by their foraging hive mates, according to new research published in the Journal of Experimental Biology. The chemicals cause brain damage in young worker bees, affecting both their ability to taste and to learn, placing the future of the colony at risk. Recent research in Europe and the USA has demonstrated that insecticides known as neonicotinoids have a substantial impact on honey bee health. Glyphosate, a commonly used herbicide, has also been shown to have effects on non-target species such as bees. 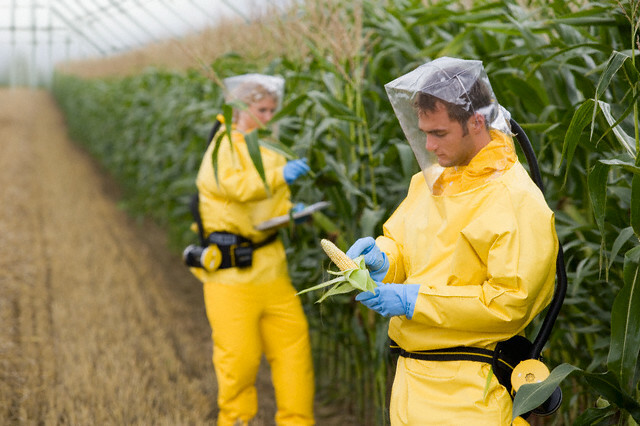 In agricultural landscapes it is expected that honey bees would be exposed to both of these agrochemicals. Carolina Goñalons and Walter M. Farina from the Universidad de Buenos Aires decided to examine the effects of field-realistic concentrations of these common farm chemicals on young worker bees. The role of worker bees is related to age. Young worker bees perform vital tasks such nest maintenance and care of the eggs and pupae. Later in life they become field or forager bees, and gather nectar and pollen for the colony. These skills involve behavioural plasticity, memory and discernment, so the Goñalons and Farina believe the young bees serve as important bioindicators to study the effects of these chemicals on colony health. To accurately measure the effects of neonicotinoids and glyphosate on young bees, Goñalons and Farina raised broods of young bees, and exposed them to various concentrations of the chemicals. As the concentrations of the chemicals are too low to kill the bees outright, the only way to test their effects is by training the bees to carry out tasks, and then measuring the bees’ performance under various levels of exposure to the chemicals. The bee responses were assessed at 5, 9, and 14 days old. The bees were fitted with tiny, bee-sized harnesses and trained to respond to various concentrations of sucrose solution and smells. The indicators included antennae movement and extension of their mouthparts. Both chemicals had a negative effect on the young bees’ olfactory learning, and reduced sucrose responsiveness or sense of taste. Glyphosate also reduced food uptake during rearing. The paper demonstrates that neonicotinoids and glyphosate adversely affect memory, taste and smell in young bees – the very senses and skills required by worker bees for nectar foraging. The authors are concerned that compromised foraging behaviour may threaten the survival of the colony, especially at the end of the summer season.